About the Author: Josh Cluderay is a film graduate of Sheffield Hallam University and a freelance writer. Recent articles include ‘Dear Friend: From the Shop Around the Corner to You’ve Got Mail’ and more of his writing can be found at donthangaround.com.Together with Rob Yeomans he has also started a production company, Dancing Henry Productions. 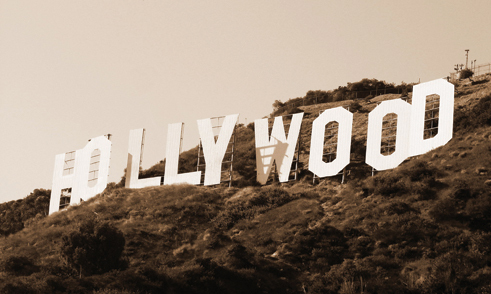 ‘Hollywood’ is a term bursting with competing connotations. Now perilously close to a pejorative, a byword for superficial glamour and rampant commercialism, historically it has embodied a tension between a Utopian promise of wealth and opportunity, and a wasteland of moral corruption and broken dreams. But it is also a real place, a suburb of Los Angeles that in less than three decades grew from a small agricultural town into the picture-making capital of the world. Mark Shiel argues that not only is this geographic specificity essential in understanding Hollywood cinema, but that the film industry also exerted an important and tangible influence on the growth of Los Angeles, helping to transform itself and its surrounding area from a sparsely-populated wilderness into a sprawling prototype for the modern decentralized city. The ‘real’ of the title is not a reference to scandal or intrigue, but rather the landscape, architecture and raw materials of the cities that existed both inside and outside the studio gates. The studio system forms the backbone of this study, from the initial Westward movement of film-makers in the 1910s to the gradual demise of the majors in the 1950s. This history is explored alongside the growth of Los Angeles and its changing representations on screen. Early photographic depictions, from stills to actuality films and narrative shorts, are used to trace the geography of the area and Shiel demonstrates how these films aligned with promotional rhetoric designed to draw new residents and business. An analysis of slapstick comedy films reveals how filmmakers utilised the city’s space – the automobile culture and suburban sprawl lending themselves to chase sequences and diverse scenery. The emphasis here is on the city, with film analysis used to explore issues around urban growth and planning; though Shiel demonstrates how the suburban settings of these films is indicative of a wider expansion of the city, he does not, for instance, explore how the city’s modernisation might have influenced the psychology of the comic characters, or draw on any material which makes explicit the film-makers’ attitudes towards the city as a location. Perhaps more pertinent to film historians is the relationship between the physical studios and the surrounding city. The introduction of sound necessitated a new style of studio construction which increasingly transformed them into cities within themselves, and while Shiel’s in-depth description of construction methods and materials may prove extraneous to the interests of many readers, his discussion of studio space and organisation and the impact this had on production (at MGM in particular), is most interesting. Especially so when considered alongside the architecture of a city which, in its hodge-podge of assorted styles, came to resemble a film studio itself. 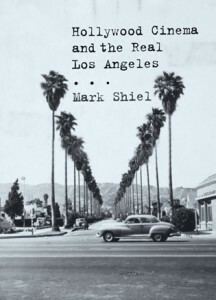 Finally, Shiel discusses the increased post-war visibility of Los Angeles as a place in its own right and the renewed interest in location filming prompted by Film Noir, which exposed the city’s often violent nature. Their politically charged nature forms a segue into a discussion of the Hollywood strikes of 1944-47. Though somewhat tangential, this account is extremely thorough and Shiel argues convincingly that the importance of the strikes has been overshadowed by the Hollywood blacklisting which it partly precipitated. Shiel writes that the film industry’s impact on the architecture and urban planning of Los Angeles has long been neglected and if so then this book certainly goes some way to making amends. However, in bridging these separate disciplines there is a risk of alienating readers whose interests are more narrow, with many passages that will seem inessential at best to students of film. The extensive reach of the book’s subject also means that the treatment of certain issues can seem a little slight; though the author aims to propose ‘an explicitly spatial history of Hollywood cinema’ he does not indulge in enough in-depth film analysis to offer a new paradigm for understanding the relationship between filmic and actual space. Nevertheless, in treading a lesser worn path the book opens up several areas which the interested reader may wish to explore more deeply, with a wide and well-catalogued range of sources suggesting numerous avenues for further research. Though esoteric at times, it is broad enough in scope to recommend itself to anyone seeking a more rounded understanding of the Hollywood studio system.